“A single picture is worth a thousand words” so it is said, and the rise of numerous image sites such as Instagram and Twitpic are clear indicators of the veracity of that saying. The online world is ideally suited to the exchange of pictures of all kinds, and sites such as these drive home the importance that people place on photographs. Serving numerous functions that online audiences routinely make use of, these two are the subjects of this comparison article. Instagram is a photo sharing application for the iPhone that allows users to take photographs and share them with other Instagram users via social networking sites such as Twitter and Facebook. 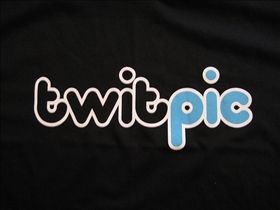 Twitpic is a similar service, and it allows users to post pictures to Twitter. The service is often utilized as a means to upload and share pictures almost instantaneously while a particular event is taking place. The developers of Instagram, Systrom, claims that the service provides capabilities that similar services do not, such as support for high quality photos, a much easier way to share photos, and shorter upload times. Most users are particularly enamored of the first benefit, since the filters employed by Instagram supposedly makes even the most ordinary photos more compelling and more striking. One notable difference between the two services is that Twitpic photos always end up on Twitter, which users generally use for purposes other than viewing pictures. Twitter users who follow topics pertaining to technology for example, may pose objections to viewing random photos in the same stream. 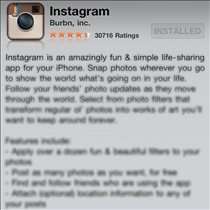 With Instagram on the other hand, users are expected to post photos and nothing else. Instagram also has the advantage of better–or at least, more flattering–filters, as mentioned previously, and even lackluster or even blurry photos end up looking pretty impressive. Instagram users are also much more likely to post comments in reply to submitted photos than in Twitpic, since photo submissions aren't as well integrated into the Twitter experience. Instagram also allows quick access to photos, unlike Twitpic, which typically requires users to click on slow loading URLs, without any previews.